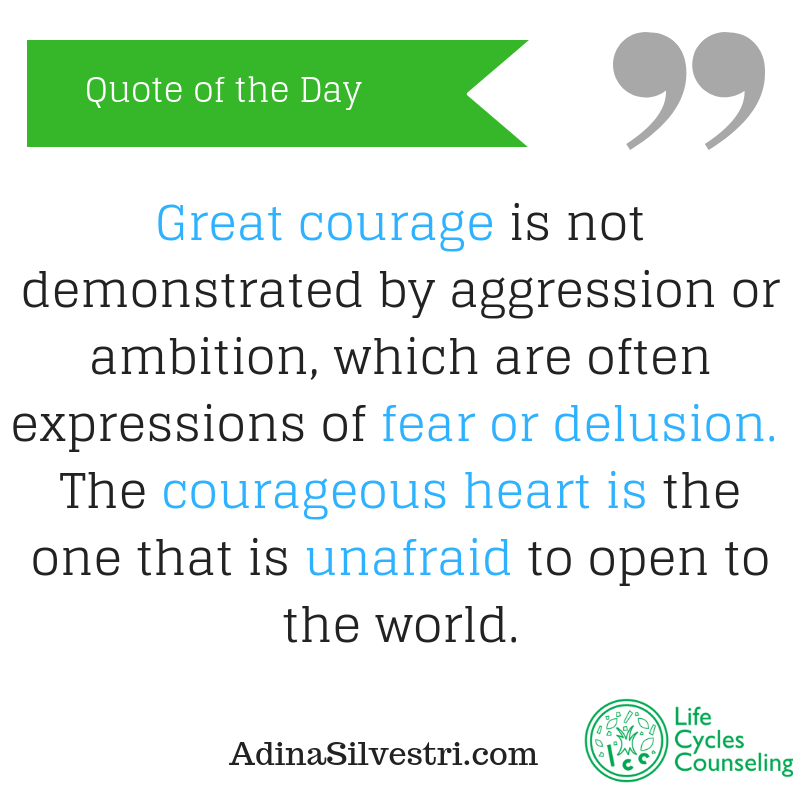 Quote of The Day: great courage. Great courage is not demonstrated by aggression or ambition, which are often expressions of fear or delusion. The courageous heart is the one that is unafraid to open to the world.